Our homeschool classes are great for the homeschool kids that want a little break mid day from their school work. 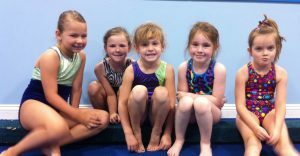 They will learn all the fundamental aspects of gymnastics. Enjoy the sport of gymnastics without the crowds of the after school rush. More classes will be added as the need arises. $65 due at your start date every year. $97.50 family rate.